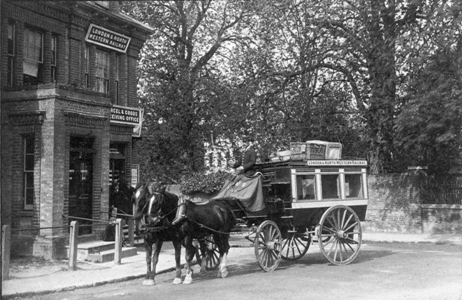 On the right are some shops, known as Cheapside. 5a, Marlowes. TN 73 Boxmoor. 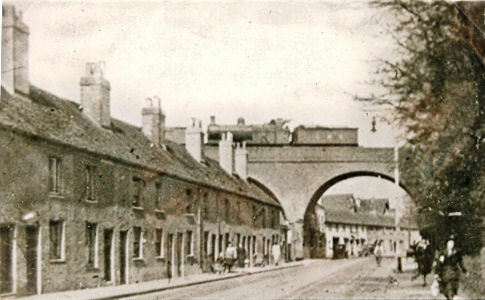 Patricia (patricia @t teepee32.freeserve.co.uk) supplied the above picture and writes: The photo was taken 1925-6 of the factory called Umfrevilles which was in Marlowes near the Sebright pub and where Dacorum College now stands. 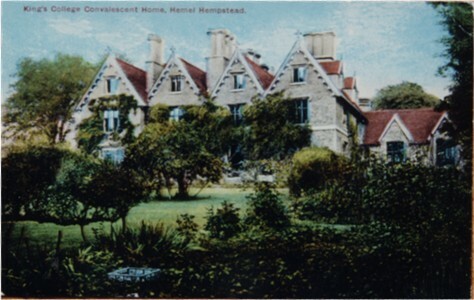 My uncle's mother, Winifred Kate Cosier nee Seabrook, born 1906, trained there. She was on piece work and was paid 17s 6d for making 12 greatcoats, that is all except the buttons and buttonholes. She earned about £3 10s per week. 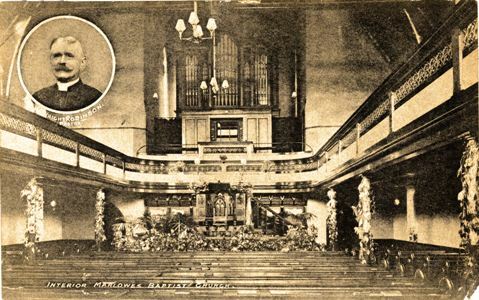 The 1851 Ecclesiastical Census records the minister as William Samuel Matthew Aitchison, and comments "There are two village preaching stations in connection with this place of worship, one at Leverstock Green, the other at Water End ... In the afternoon Sunday School is taught in the Chapel." 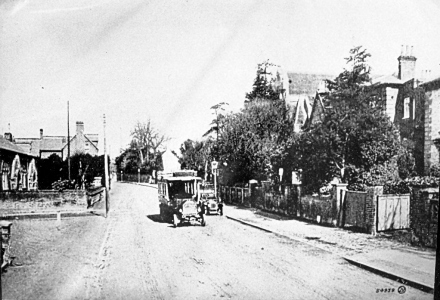 Very early bus with public baths/waterworks to the left. 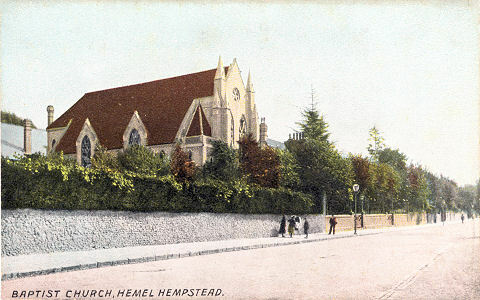 The roof of the Baptist Church can be seen on the right. 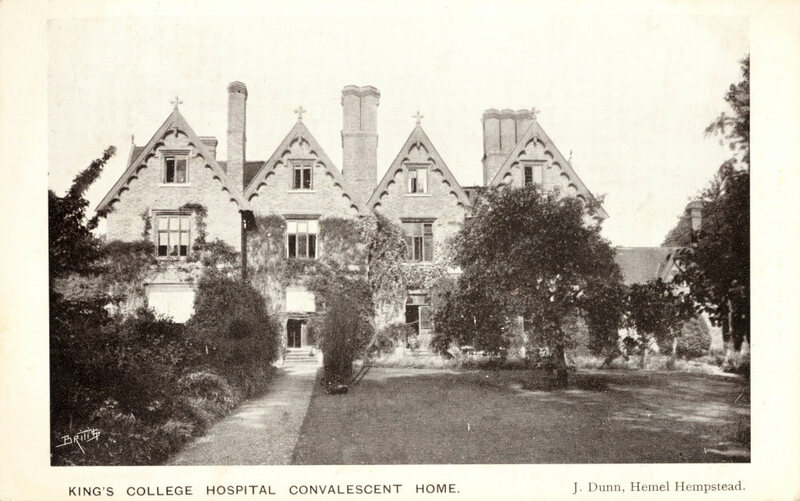 The Convalescence Home is set back from the road, in an elevated position, and was previously the hospital. 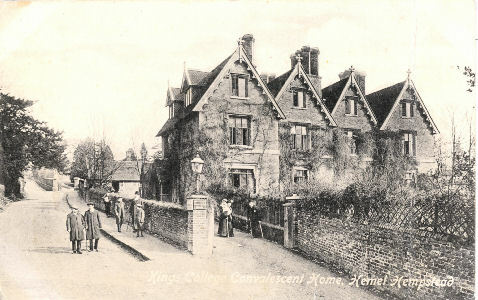 The "new" Infirmary was built behind it, further up the hill. 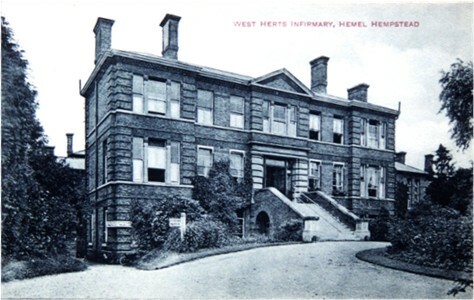 Hemel Hempstead Infirmary, Hemel Hempstead. 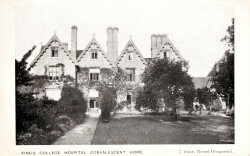 see The West Herts Infirmary for 1890 Old News report and background information. 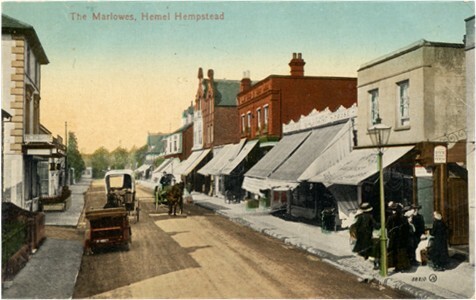 Shops in the southern end of Marlowes. 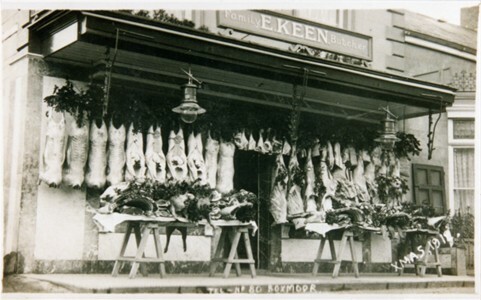 Edwin Keen's butcher's shop is the tall building on the left. 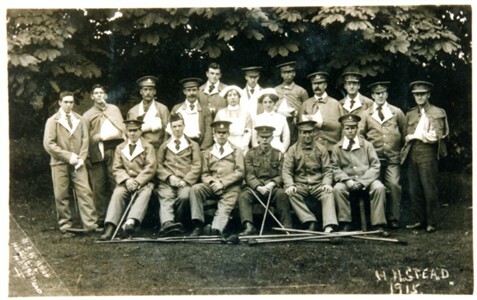 Invalid soldiers at a garden party help by Edwin Keen, 1915. It was taken by H J W Bray, 161 Station Road, Forest Gate. 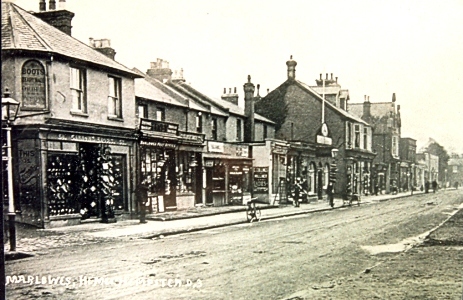 By 1917 Mr Bray occupied the photographer's shop in Alexandra Road. Continue down the road and pass under the railway bridge. The road junction you come to is the site of the present day "Magic Roundabout".